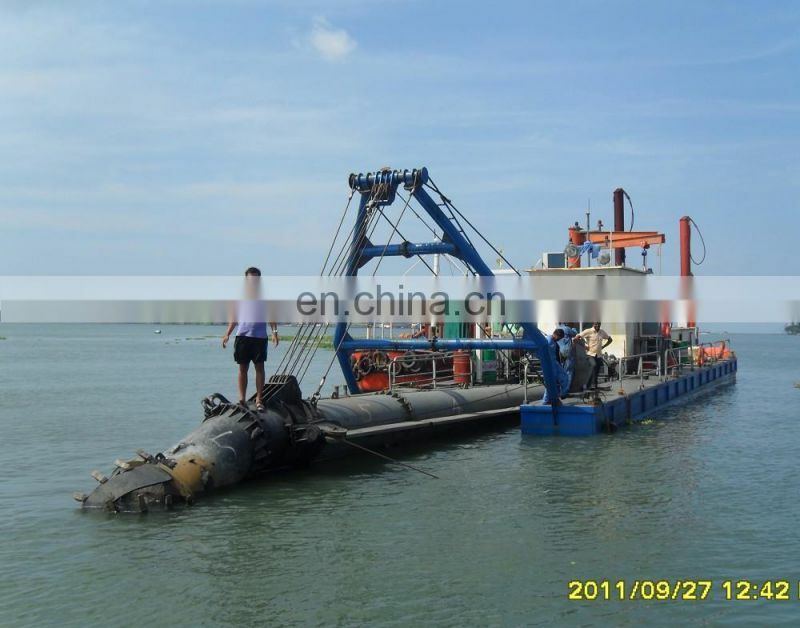 The hull consists of three pontoons, one main pontoon (engine room), two side pontoons. 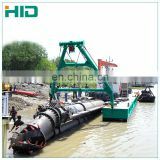 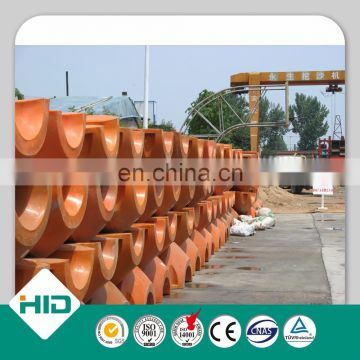 All parts are dimensioned to allow the HID-2510P dredger to be transported by road, rail or water. 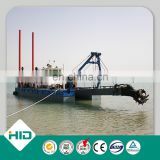 The dredger is equipped with a rapid connection-disconnection system for the pontoons, achieved using bolts at deck level, hull front and rear , and hooks at the bottom. 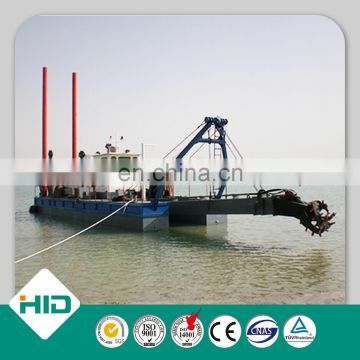 Further salient features of the dredger are the dredger is powered by a Marine engine. 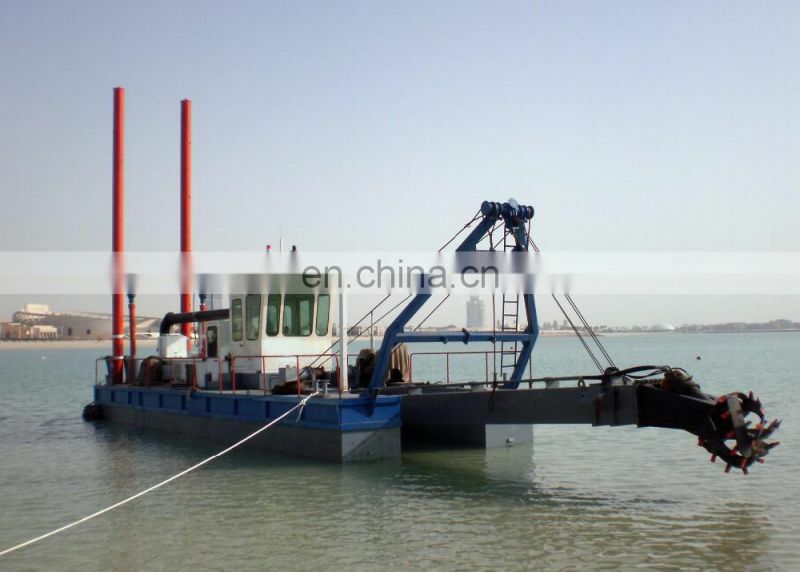 the main engine is to drive the dredge pump and hydraulic pump. 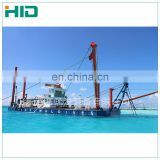 Hydraulic pump will in turn power other all equipments such as cutter, swing and ladder winches, and the spud rams etc. 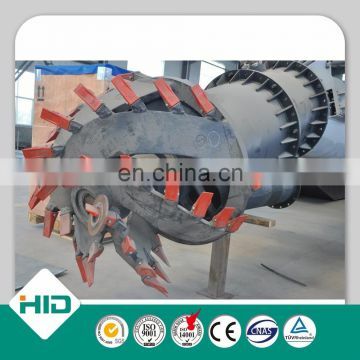 welder and so on, 70 items. 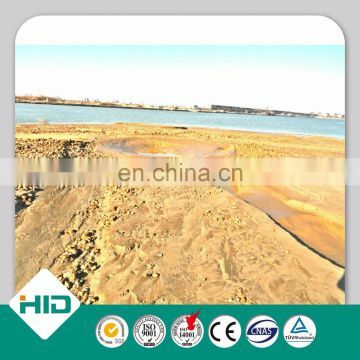 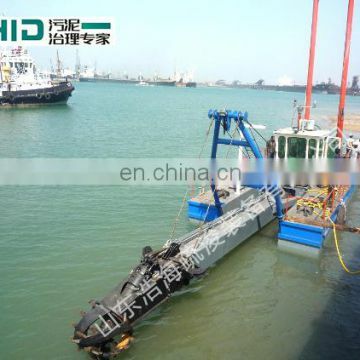 We are the biggest dredger manufactuer in north of China and can offer cutter suction dredger from 8inch to 20inch, water flow from 800cbm to 5000cbm.